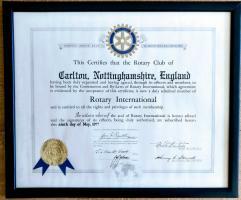 Carlton Rotary Club is based in the Carlton area of Greater Nottingham, with boundaries stretching into the City of Nottingham and the Borough of Gedling. We are a part of Rotary International, which is the world's largest service organisation. All clubs have various committees each of which provide a different type of service, more information is available from the committees' pages. 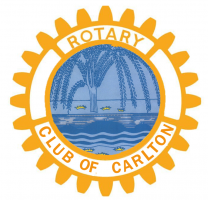 If you are a Rotarian visiting the area, you will be made welcome at one of our meetings - check the venue and programme pages for further details. 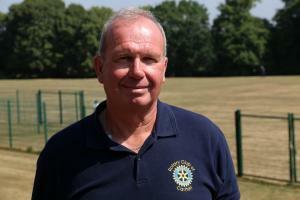 The Club members include people from all walks of life. The area in which the Club is based is economically varied, bringing many challenges fulfilling the needs of the local people. The 16th running of the Great Nottingham Duck Race took place at the Victoria Embankment on Sunday 6th August 2017 organised by Carlton and Trent Bridge Rotary Clubs. 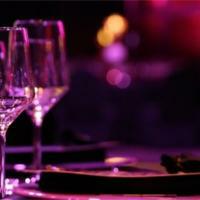 Over £10,000 was raised for Local Charities due to the tremendous generosity of the Nottingham public. For the past few years, members of the Club have undertaken mock interviews with sixth form students with a view to preparing them for their future lives, whether at University or in their careers. This year, almost 90 students took advantage of the opportunity.